Ralph McAllister says : ‘We all enjoy a good scare, now and then. Trouble is sometimes reality is more frightening than fiction. 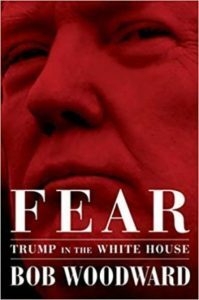 FEAR, by Bob Woodward is an obvious example. This is a superbly researched account of Trump’s rise and descent into the squalor of Washington’s swamp, the very swamp which he promised to fix. The examples of deceit and dishonesty are legion and terrifying. Most of the appalling material is known but it is the relentlessness of the disgusting betrayals of the American Dream that continue to horrify us . For any students of history this is a must read. For the rest of us escapism might be the antidote. 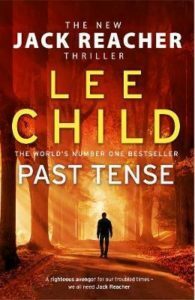 So what about PAST TENSE, Lee Child’s latest formulaic Jack Reacher thriller? This time Reacher goes looking for his dead father and stumbles into a preposterous arrow hunting deadly game. Quite ridiculous reading, told with Child’s usual effortless racy prose , and for millions of readers, a must. Closer to reality, but only just,is Ian Rankin’s latest I. A HOUSE OF LIES,with all the usual suspects, albeit none of them aging too gracefully. As most will know, Rebus is now retired, having given up two of his greatest pleasures , whisky and cigarettes, but not his obstinacy and desire to solve Edinburgh’s criminal cases, old and new. Incredible to realise that there have been twenty other Rebus thrillers and the latest is as entertaining and absorbing as previously. A case of the feel you get putting on old slippers. 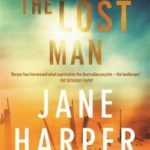 Nearer to home is Jane Harper’s third novel THE LOST MAN which is a stunning follow up to her exciting debut of a couple of years ago,T HE DRY. We are back in the bleak Queensland landscape with repressed Nathan trying to work out why his brother Cam has committed suicide in the most painful of ways. Family tensions, local community gossip, incessant heat all contribute to a gripping and frightening climax which will leave you gasping. And, finally, for something completely different, you might try the biography of one of Hollywood ‘s serial lovers. Mickey Rooney, on stage from the age of two, only left it when he was in his nineties. 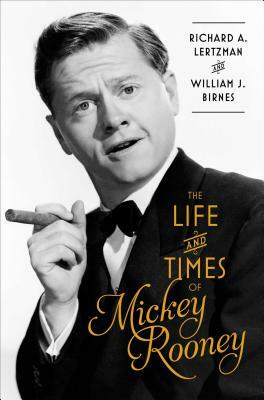 Eight marriages, hundreds if not thousands of sexual encounters, over four hundred movies, an alcoholic and compulsive gambler and more bankruptcies than I could be bothered to count, this is truly THE LIFE AND TIMES OF MICKEY ROONEY. Lertzman and Birnes provide a detailed account of Rooney’s proclivities. Badly needing a ruthless editor, nevertheless it is a fascinating insight into a sadly under-estimated star . Best of the year’s selections next article.